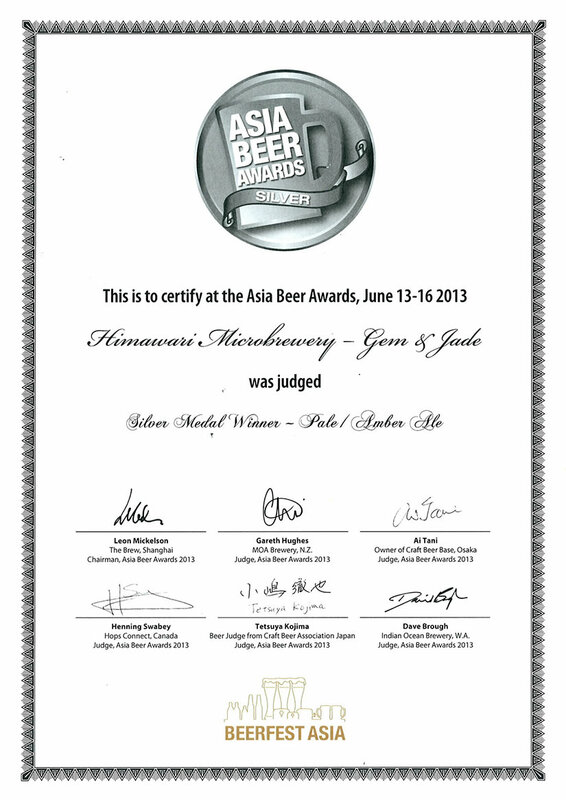 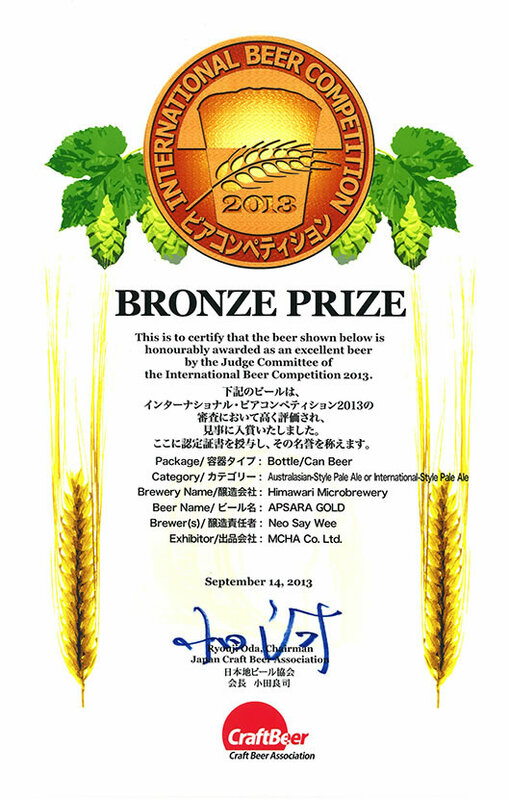 Handcrafted by Mr Neo, our brew master, is the 1st microbrewery within a hotel in Cambodia, these awards celebrating the best beers worldwide, recognizing the high quality of brewing process as well as final product. 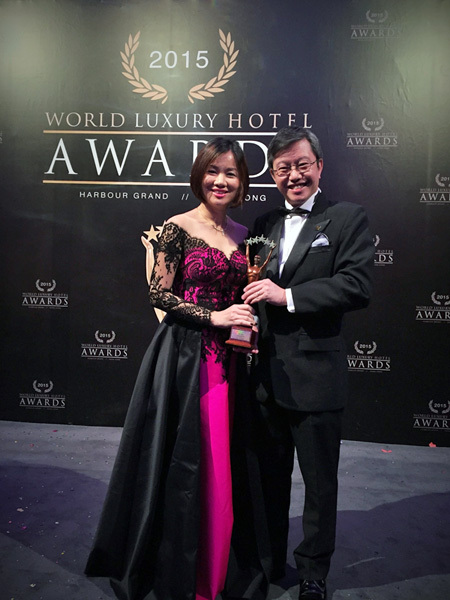 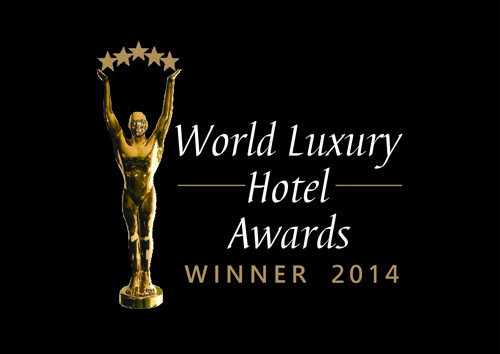 The World Luxury Hotel Awards are accepted as the pinnacle of achievement for luxury hotels worldwide. 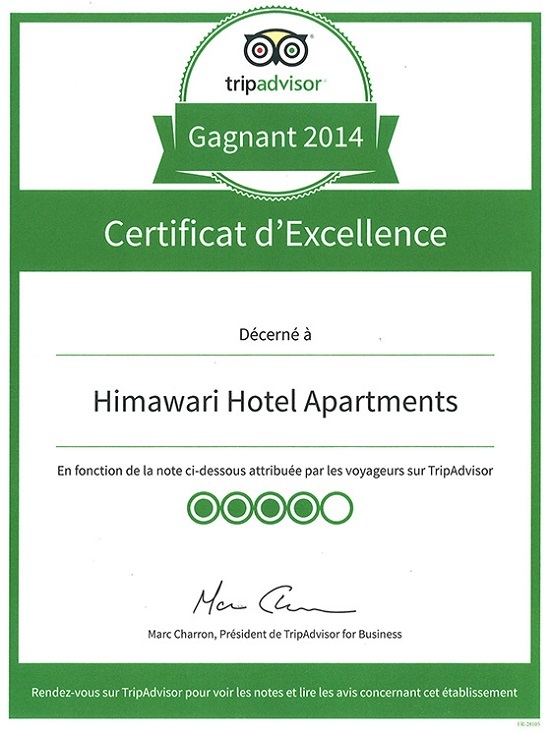 These awards were established as a celebration of ultimate achievement in service excellence. 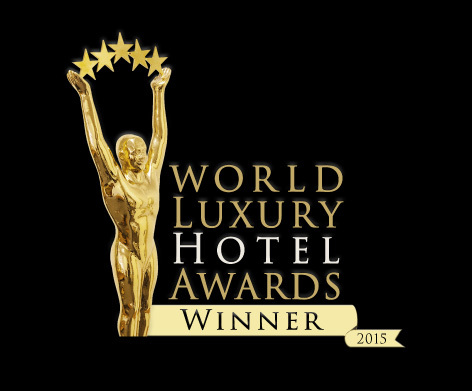 It is about rewarding and congratulating hotels that have excelled beyond the normal call of duty. 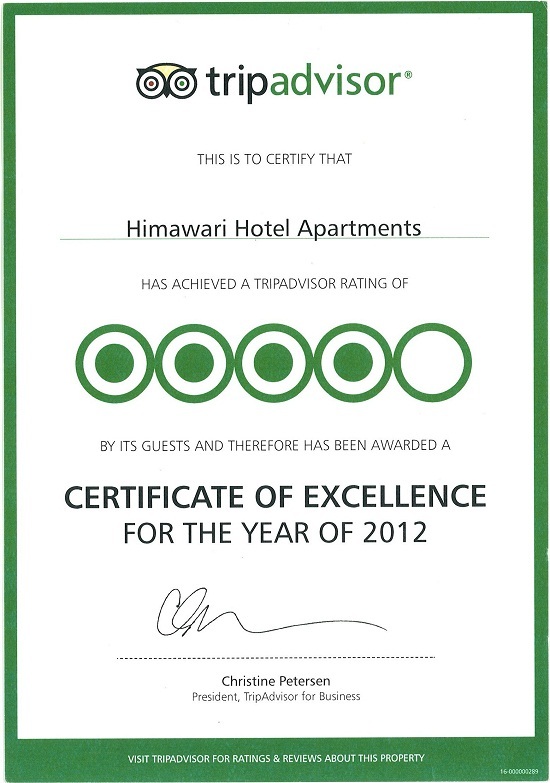 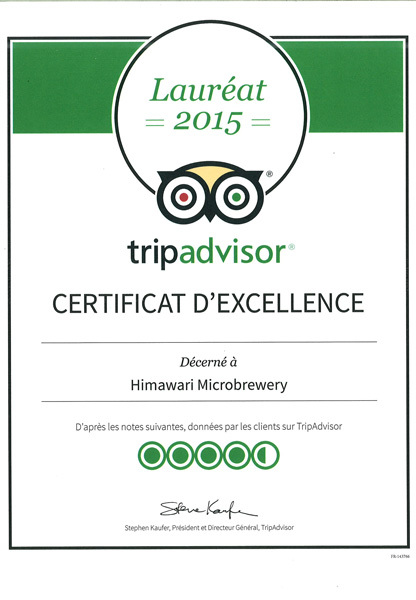 Certificate of Excellence Award honors hospitality businesses that consistently achieve outstanding reviews on TripAdvisor. 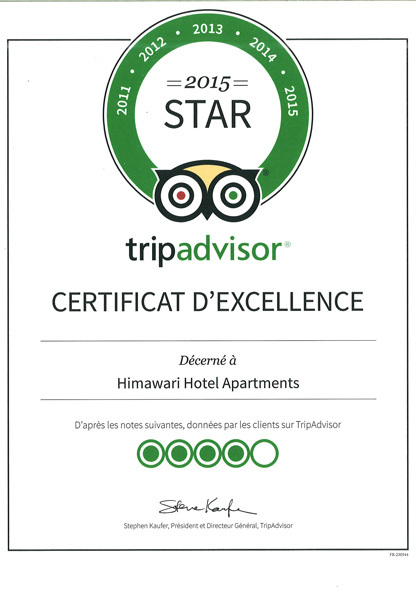 This award is only given to the the top 10% of accommodations, attractions, restaurants, and vacation rentals listed on TripAdvisor. 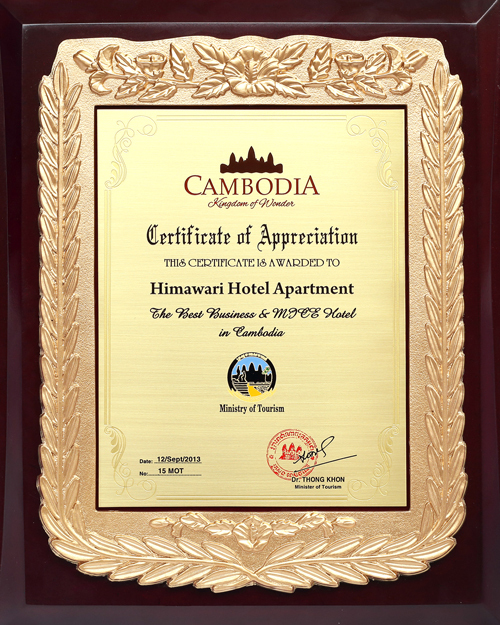 Certificate of Appreciation awarded to Himawari Hotel Apartment for the Best Business & MICE Hotel in Cambodia by the Ministry of Tourism Cambodia.